This Nativity is hand-carved by men in Vietnam who sit on the floor and use their hands and feet to help them create lovely works of art. The artisans are members of a minority people group who live in a remote part of Vietnam not traveled much by tourists, so they have difficulty selling their products. These people live in poorer conditions than most other people in their country. 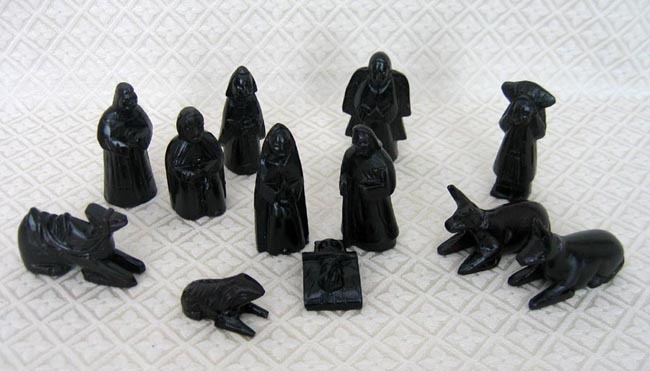 By carving Nativity sets, the artisans are able to provide a stable income for their families. The set includes Joseph, Mary, baby Jesus, an angel, a shepherd, a cow, a sheep, a donkey, three wise men, and a camel. The standing figures are 3 inches tall.